Yesterday I prepared this for evening snacks . I have bookmarked this recipe from a TV show. This is very easy to prepare and we enjoyed a lot........!!! 1. Combine chopped spinach, crushed corn kernals and chickpea flour(besan) in a mixing bowl. 2. Add crushed coriander seeds, chaat masala, red chilly powder and salt. 4. Make balls out of the mixture. 5. Heat sufficient oil in a vessel. 6. Deep fry the balls till golden brown in color. 8. 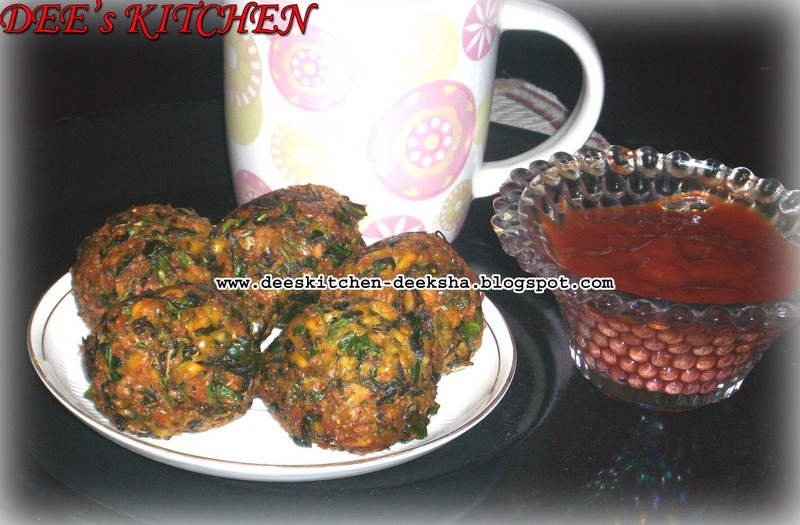 Serve hot with tomato ketchup. Delicious spinach balls...Glad to follow u..
yummy snacks...The colour and the flavours are just right for a delicious bite..
i can tell by the looks and ingredients that this recipe must have been a hit! Nice Idea for a lovely snack with Tea..
First time here. Lovely snack for tea time.I like corn a lot. I am so happy to follow you. Very lovely and nutritious snack! Yum! Looks healthy and yummy. Thanks for visiting my space. You have a wonderful blog. 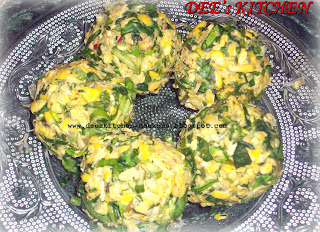 Yummilicious corn balls adding spinach makes it healthy. Very yummy and healthy snack. Looks inviting. 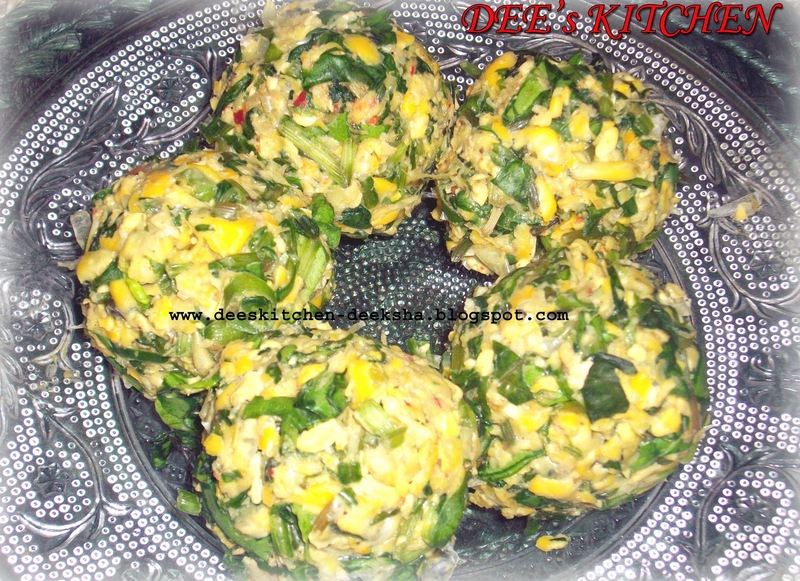 Delicious , healthy and easy to make..thanks for sharing..
Good one Dee...healthy n crisp. Btw, this word verification is painful..pl remove.